All Geovid models incorporate laser rangefinders that allow quick and precise distance determination. Users will never lose sight of their target over medium and long distances. State-of-the-art lenses guarantee maximum colour fidelity, contrast and straylight suppression, offering a bright and crystal-clear and pin-sharp image – even under the most adverse light conditions. The compact construction of all Geovid models is completely waterproof and nitrogen filled, guaranteeing comfortable viewing under any weather condition by preventing fogging from inside. 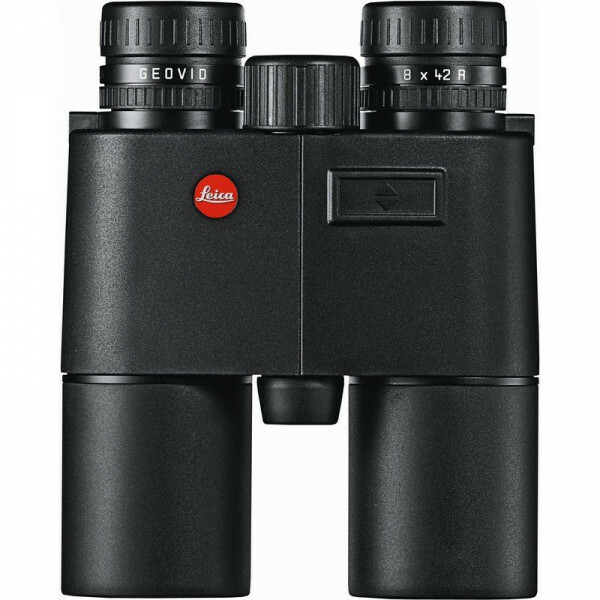 The Leica Geovid R displays linear distances for a measuring range of up to 1100 metres (1200 yards). All models also feature the EHR ballistics function that allows the user to display the equivalent horizontal range for angle shots for distances from 10 metres/yards to 550 metres/600 yards. o previous knowledge of ballistics is required when using the EHR function. The display appears at the single press of a button. Pre-setting or pre-programming is not required.